Owning a business is not as easy as it looks. You have to constantly look for ways for your business to thrive and gain financial benefits. Now, if the nature of your business depends on trucks or other vehicles to deliver goods and services to your customers then truck GPS tracking will prove beneficial for you. By getting complete access to your vehicles, you not only reduce costs but also, drastically improve productivity. Speed monitoring. Speeding is one of the factors contributing to high fuel usage. 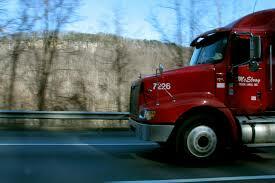 Maintaining the proper speed proves to be cost efficient on the fuel used by your trucks. With a truck GPS tracking device, you can send notifications to yourself when one of your trucks exceed the set speed limit. Monitoring Idle time. Excessive idling by drivers, especially when they use their truck as a climate control system, contributes to high fuel costs. Send alerts to yourself when a truck is idle for a longer time than the preset duration, with a truck GPS tracking. Monitor your driver’s behavior with a truck GPS tracker. It can provide data regarding driving behavior including engine start-up, speed, idle time and engine shut down. When you have this information, it’s easy to enforce driving policies and cut out unwelcome behavior such as over speeding, too much idling, and tardiness. This, in turn, will encourage your drivers to work more effectively and stop using your trucks for personal usage. If you have multiple trucks, track them by using a fleet tracking system. Since this is your business, it is only natural that you keep it safe and secure. In any case that your truck is hijacked or stolen, a hidden GPS receiver can help you recover an asset quickly. It can also alert you if your vehicle is being used during off-hours. 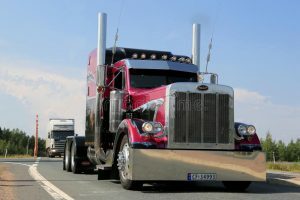 Most truck GPS tracking has a mapping software that lets you and/or managers know the exact location of your vehicle. This allows dispatchers to effectively direct drivers to the job site. You can also locate the nearest vehicle to any job site to provide better routing and dispatching which will drastically reduce fuel consumption and vehicle mileage while increasing the number of jobs completed in a day. Once better routing and dispatching is available, it can help you get to your customers faster. It will also provide accurate and verify proof of service as you will be able to determine when a truck arrives on a job and leaves. Active GPS vehicle tracking means that the information gathered from the GPS receiver is transmitted to a central database at regular intervals to give real-time location data. Passive GPS vehicle tracking. on the other hand, means that all the GPS information is stored in a receiver and needs to be downloaded once all vehicles return to the office. Today, the most popular method for tracking trucks is the real-time or active tracking. It may be more expensive but it has huge benefits, having real-time data to make real-time management decisions. A client-based software requires installation on your computer. Most often than not, this also requires frequent downloads and manual upgrades. Another setback when utilizing client-based software is that your computer needs proper installation so you can use its interface. Web-based software is readily and securely available over the Internet. All you need is a login and password and you’ll be able to access your account from any computer. It is by far, the superior choice for GPS solutions because of it’s flexibility and 24/7 accessibility. One of the most well-known mapping providers is Google Maps. The best mapping solution will allow you to zoom all the way to street level and provide street, terrain, satellite and hybrid street/satellite views. To help your drivers avoid delays, you should also be able to get real-time traffic data through the mapping. The aim of getting a GPS tracker for truck is to help your business as well as your employees. This way, you may reward hard work and eradicate bad habits that can lead to financial loss. That’s why it’s essential that your drivers and staff are on board the program. While truck GPS tracking is an all new program for your business, GPS is a proven technology. If you don’t track your most important assets then you could be putting your employees and your business at risk. Jill Thompson comes to us from Geneva Switzerland as our Public Relations guru. She has extensive writing experience and a Bachelor’s Degree in Journalism from Webster University in Geneva. Jill is an accomplished writer with over 10 years experience writing for online and printed publications in Europe. Jill has two dogs and 1 baby boy named Bailey and enjoys spending time traveling. Fleet Managers & Transportation Business Owners – See what SATX Technologies can do for you!